The citizens of the once proud nation of the United States of America today welcomed news that president-elect Barack Obama may be of British descent extending the hope ignited in November that their country could be on the road to recovery. "I cried when I heard the news, " said Joe Billingsworthski, a plumber from Ohio. "The idea that we could have a British president fills me with hope, after all the last American one really screwed up the country." Many political observers are hopeful that the USA could gain some of the ideals of British fairplay and freedom that they have lost under the current American president, regain some of the prosperity of earlier generations and finally get an understanding of cricket, decent beer and democracy. "We need to bring in international talent to turn this place around," said Joe. "Americans have screwed up the world’s economy and given the financial system a seeing-to that it might never recover from. From January, with a Brit at the helm, there is a chance we can put the Bush oppression behind us and become a free country." 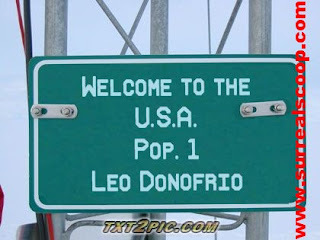 Leo Donofrio, who brought the case celebrating Obama’s Britishness said that he would continue to get even greater recognition for Mr Obama’s ancestry and any other President of the United States formerly thought of as being American. "It is amazing, all of the early founders of this great nation, they had parents who were British citizens, regardless of birth. Just like Barack Obama. We can’t risk the US returning to a time when it was the championing force of human freedoms!" said Mr Donofrio as men in white coats led him to a waiting van. "I may have started with Obama, but I have raked through Chester A. Arthur’s past, and I won’t stop until I investigate everyone who claims to be American. I may even be the only genuine American, do you hear! The country will be mine, all mine!" Barack Obama who has previously tried to stay away from discussions of his ancestry today made a brief statement during tea at a cricket match in Philadelphia. "I say, if we keep a stiff upper lip, and pump huge amount of taxpayers money into General Motors we can make it into the success that British Leyland was, what?" he said before going out to bat for the Queen’s Eleven. Former British Prime Minister Tony Blair is said to be overjoyed at the announcement that British citizenship is no bar to becoming President of the USA and has booked a plane ticket for 2012. Hey your back, bloody good job too, have missed your stories, roll on more !! !